The only collectible hat lets you build, mix & match your own custom ‘bots, and battle your friends in a robot-brawl inside the Fightanium Arena. Unbox more bots, build your ultimate brawler and blast your way to becoming champion! Last bot standing gets the glory and the bragging rights! 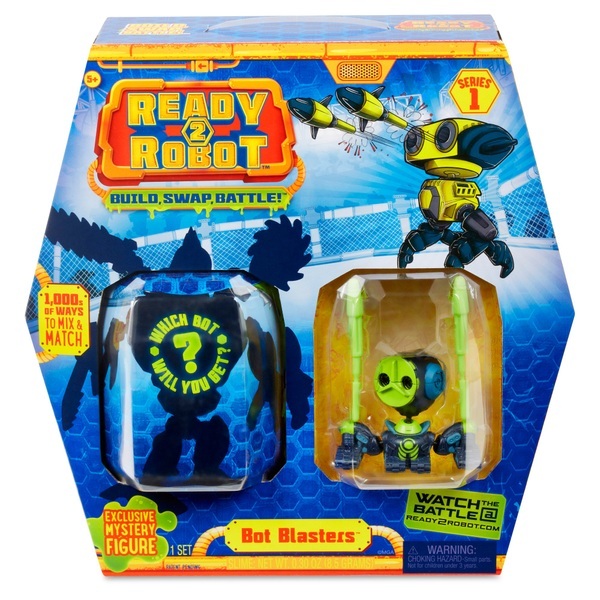 Each Bot Blaster pack includes extra weapons and accessories to build and customize your mechbots and Pilots Asst for battle. Includes 1 blind packed Ready2Robot pod and 5 accessories.